1. Andersson, K.G. Weathering of Cs-137 on various surfaces in inhabitated areas and calculated locations factors / K.G. Andersson [et al.] // Deposition of radionuclides, their subsequent relocation in the environment and resulting implications. Report EUR 16604 EN, European Commission, Luxemburg, 1995. – P. 47–56. 2. European Commission Belarus, the Russian Federation, and the Ukraine. Experimental Collaboration Project №.4; Evaluation and development of decontamination strategies for a range of environmental situations and evaluations of their efficacy and other impacts. Final report. Luxembourg, EC, EUR 16530 (1996). 3. Roed, C. Decontamination in a Russian settlement / C. Roed [et al.] // Riso-R-870(EN). Riso National Laboratory, Roskilde, Denmark. March 1996. 4. Roed, K.G. Mechanical Decontamination Tests in Areas Affected by the Chernobyl Accident Riso-R-1029(EN) / K.G. Roed [et al.] // Riso National Laboratory, Roskilde, Denmark. August 1998. 5. Радиационный мониторинг доз облучения населения территорий, подвергшихся радиоактивному загрязнению вследствие аварии на Чернобыльской АЭС : методические рекомендации по обеспечению радиационной безопасности. – М.: Роспотребнадзор, 2007. 6. Рекомендации по ведению сельского хозяйства в условиях радиоактивного загрязнения территории в результате аварии на Чернобыльской АЭС на период 1991–1995 гг. – М., 1991. 7. Руководство по применению контрмер в сельском хозяйстве в случае аварийного выброса радионуклидов в окружающую среду. IAEA-TECDOC-745 ISSN 1011-4289. – Вена: МАГАТЭ, 1994. – 104 с. 8. Фесенко, С.В. Закономерности изменения содержания 137Cs в продукции животноводства на территории Российской Федерации, подвергшейся загрязнению в результате аварии на Чернобыльской АЭС / С.В. 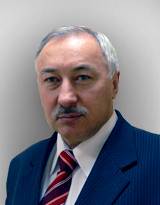 Фесенко [и др.] // Радиационная биология. Радиоэкология. – Т. 35, вып. 3. – 1995. – С. 316–327. 9. Фесенко, С.В. Оценка эффективности контрмер в сельском хозяйстве после аварии на ЧАЭС / С.В. Фесенко, Н.И. Санжарова, К.Б. Лисянский // Радиация и риск. – 1997. – Вып. 9. – С. 53–60. 10. Alexakhin, R.M. Countermeasures in Agricultural Production as an Effective Means of Mitigating the Radioecological Consequences of the Chernobyl Accident / R.M. Alexakhin // The Science of the Total Enviroment. – 1993. –V. 137. – P. 9–20. 11. Handbook of parameter values for the prediction of radionuclide transfer in temperate environments // Technical Report Series. – № 364. – Vienna: IAEA, 1994. 12. Modelling of resuspencion, seasonality and losses during food processing. First Report of the VAMP Terrestrial Working Group. IAEA-TECDOC-647, 1992. 13. Self-help countermeasure strategies for population living within contaminated areas of the Former Soviet Union and an assesment of land currently removed from agricultural usage // еd. by N.A. Beresdorf and S.M. Wright. Joint Deliverable projects RESTORE (F14-CT95-0021) and RECLAIM (ERBIC15-CT96-0209). – United Kingdom, 1999. – 82 p.
14. Lebedev, O.V. The correlation between 137Cs half-life and age, body mass and height in individuals contaminated from the Chernobyl accident / O.V. Lebedev, V.A. Yacovlev // The Chernobyl Papers. – V. 1. – Washington: Research enterprises, 1993. – Р. 219–243. Роспотребнадзор .. ОЦЕНКА РАДИОЛОГИЧЕСКОЙ ЭФФЕКТИВНОСТИ ЗАЩИТНЫХ МЕРОПРИЯТИЙ (КОНТРМЕР), ПРОВОДИМЫХ В ОТДАЛЕННЫЙ ПЕРИОД ПОСЛЕ АВАРИИ НА ЧЕРНОБЫЛЬСКОЙ АЭС МЕТОДИЧЕСКИЕ РЕКОМЕНДАЦИИ МР 2.6.1.0010-10. Радиационная гигиена. 2011;4(1):83-92.